VLC is a well known program that you can use for playing videos. It supports tons of file formats and video codecs that you wouldn't normally find on any default video playing program; however, as open source software, it isn't always the best looking, nor does it function seamlessly. It can sometimes take a little bit of fiddling to make work, which isn't something that everyone has the technical prowess to do. 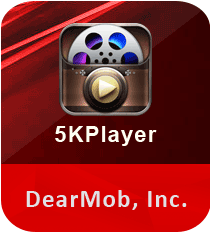 If you are looking for the best VLC alternative to play videos, we recommend the 5K Player. Luckily, there are plenty of VLC alternative, alternatives with even more features that will allow you to do things like download videos off of the Internet, too. So, if you follow along with us below, we'll show you the best VLC alternative there is on the market, and all of the sweet things that it can do to help you with your entertainment needs. Let's dive right in! For those that aren't sure what VLC is, it's a free and open-source cross-platform media player and streaming media server developed through the VideoLAN project. There are a number of contributors to the project from all over the world, working to create one of the best free and open source video players there is. One of the neat things about VLC is that it isn't just available for desktop operating systems, but you can find it on most mobile platforms today as well -- Android, iOS, Tizen, Windows Phone, and more. VLC can do quite a bit, which is what has made the platform so popular. However, it's also what makes the platform not so popular among regular, everyday consumers. That's because many of the advantages that VLC does have is very technical, which folks interested in technology love, but not so interesting to everyday people who just want something that will play their videos and movies without a problem. That said, on the technical side of things, VLC supports all video and audio formats supported by libavcodec and libavformat. This means that VLC can play back things like H.264 or MPEG-4 Part 2 video, and it has support for formats like FLV and MXF files. On top of that, VLC is one of the few video players that ignores DVD region coding, which means that you can play international movies and TV shows without any geo-blocking. One other cool things that VLC can do is play high-definition recordings of VHS tapes duplicated to a computer. There's very few video players out there that have that capability. Like we mentioned, VLC player is great for those that need something a little more technical; however, it can be confusing and hard to use for those that need something that "just works." The good news is that there's at least one great VLC alternative that has the same prowess that VLC does -- and more -- but is offered in a format that the average person can use. 5KPlayer is the best VLC alternative for those that need something a little more straightforward, as well as something that can handle all of the modern movies and TV shows that are being recorded in the 4K and Ultra HD format. It can actually handle 4K and Ultra HD content easily because of hardware acceleration. Hardware acceleration actually makes it easier and quicker to play those large file formats like 4K. Content is less stressful on your PC or laptop this way, preserving you hardware to last longer. It's good news for those that are wanting to play their favorite international movies and TV shows on their PC or laptop, too. 5KPlayer allows you to easily play multi-region DVDs on Windows, no matter in which country you bought the DVD from. 5KPlayer is able to easily unlock most region codes. Some other neat features that it comes with is the multi-screen playback and AirPlay mirroring. The former has a DLNA feature that allows you to stream video from Android to the computer -- PC or Mac. Or, you can use it to stream from PC or Mac to stream straight to your Smart TV. AirPlay works similar, but allows you to mirror and record your iPhone, iPad, or iPod screen on the Mac. Overall, 5KPlayer is super easy for anyone to use. Simply put your DVD into the computer or Mac, and then your playback with 5KPlayer can begin almost instantly. While these are some awesome features that 5KPlayer has, 5KPlayer actually has one unique feature that VLC certainly doesn't have, and what many video players today are lacking -- the ability to play 360-degree videos. If you've taken any 360-degree videos, such as with a 360-degree camera -- like the Gear 360 -- you've probably been frustrated to find out that many video programs don't allow you to click through and view every angle. 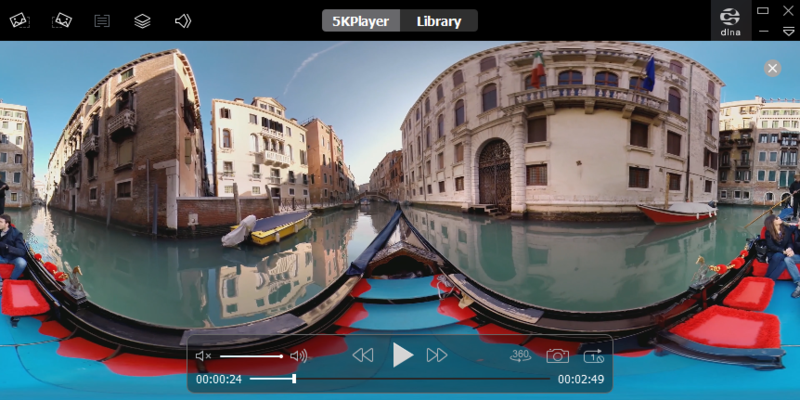 Those problems are all laid to rest with 5KPlayer, as they actually support 360-degree video. Click the "Video" icon on the main UI, and then choose the 360-degree video that you want to play. Next, click on the 360-degree sign on the progress bar. This enables 360-degree video playback. Once you've done that, you can click through on the video itself to view every angle. One other thing worth noting is that if you right-click on the 360-degree video sign, you can switch between other formats like 3D, 180-degree, SBS, and even T-B. If you want to disable 360 degree playback, you can simply click the 360° sign again to disable 360 degree video playback. It's super easy! It's worth noting that playing 360-degree videos in 5KPlayer isn't always of the best quality. That's because your video is zoomed in during 360-degree playback, and as such, your videos with lower resolution may not be very clear. You can simply follow the tip above to disable 360-degree playback to turn your regular video resolution back to normal. One of the other unique thing 5KPlayer video can do is help you download almost any video off of the Internet. Ever scroll by a video on Facebook or Twitter that you wish you could keep? Or maybe you've seen a hilarious YouTube video that you wanted to save to your computer. 5KPlayer allows you to do this very easily. First, go to the YouTube video that you want to download. Copy the URL that appears by highlighting, right-clicking, and pressing Copy. Or, press the shortcut Ctrl + V with the URL highlighted. Once copied, open 5KPlayer and select the YouTube tab. Then, press the Paste URL & Analyze button. And finally, press the Download button to download the YouTube video. Depending on the size of the video, this could take a few minutes. It's worth noting that the format you download your YouTube video in will be what you chose through the Gear icon on the 5KPlayer download screen -- i.e. right after 5KPlayer has retrieved your video, as seen above. You can follow a similar process for downloading videos from Facebook, Twitter, Vimeo and other platforms -- you just need the video link. 5KPlayer makes it pretty easy to convert videos directly to MP3's for music listening as well. If you copy the YouTube link you want to convert to a song, just like we did above, it's easy to download as an MP3. In the YouTube tab, paste the link into the Paste URL & Analyze box. When the video appears in 5KPlayer just select the "Gear" icon to find more resolution and format options. Finally, click on the "Quality: Audio" option -- i.e. make sure the box is checked. Finally, click "Done", then hit the "Download" button. Your video will now begin downloading as an MP3 file. If you're ready to give 5KPlayer a shot, it's really easy to download. You can head over to their website and download the video player for free. You can download it here for Windows, and you can download it here for Mac. Once you're on the website, simply hit the big button that says Download. It'll instantly begin to download to your computer. Once finished, you can find it under your Downloads folder, and double-click the file. Follow the prompts to install it, and you'll be ready to start playing your favorite 360-degree videos in no time! As you can see, 5KPlayer is an excellent VLC alternative. 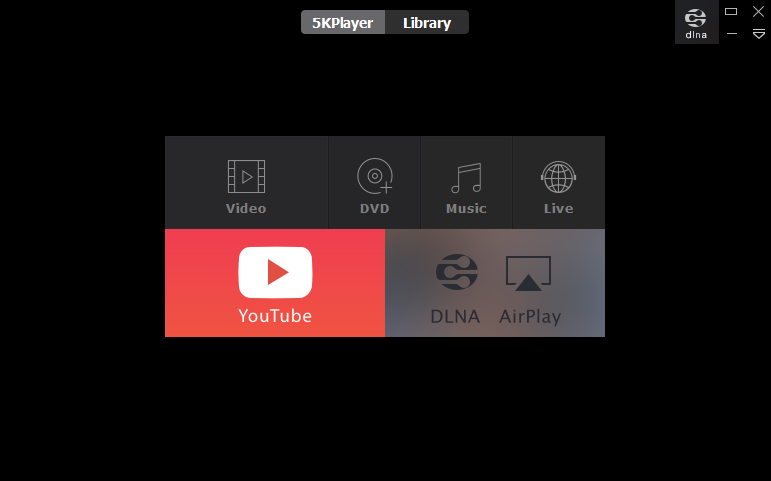 If you're someone that just wants a video player to work without much hassle, then you definitely want to get 5KPlayer downloaded on your PC or Mac! It's free, costs nothing to try, and you'll be replacing VLC with it -- or any other media player -- as your go-to media player in no time! It's worth noting that you should head to their website and act fast. If you test out the free version of 5KPlayer, and then leave them a review on their website, you could have a chance at getting a free, full license to the software as well. Head on over to www.5kplayer.com to find out more! Have you tried 5KPlayer before? Sound off in the comments section below and let us know what your experience was like!